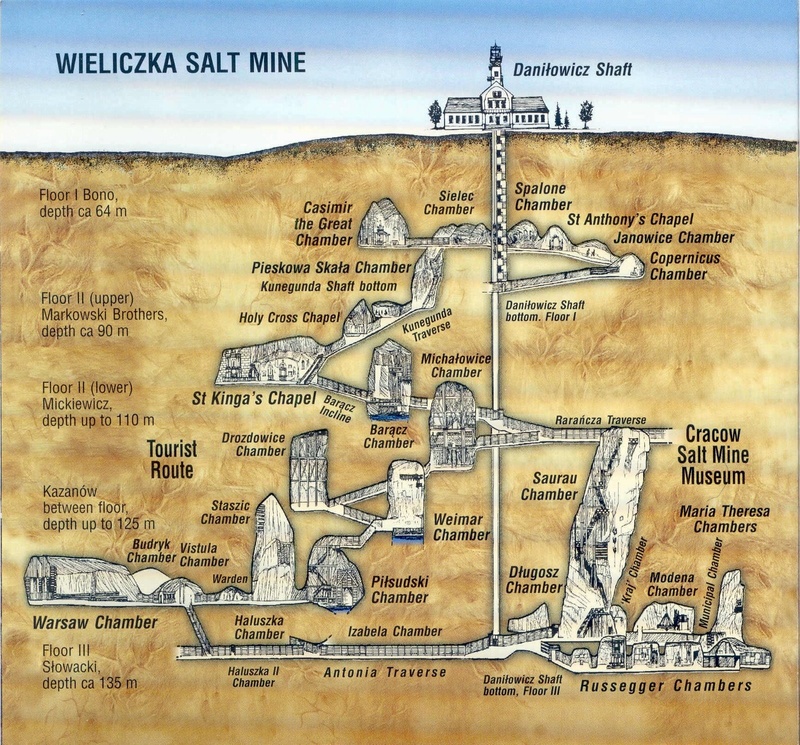 1) Wieliczka Salt Mine – Krakow, Poland – Krakow was relatively unscathed during World War II and was a much-needed diversion during my trip through Bohemian Europe that included sites of unspeakable atrocities like Auschwitz and Warsaw. 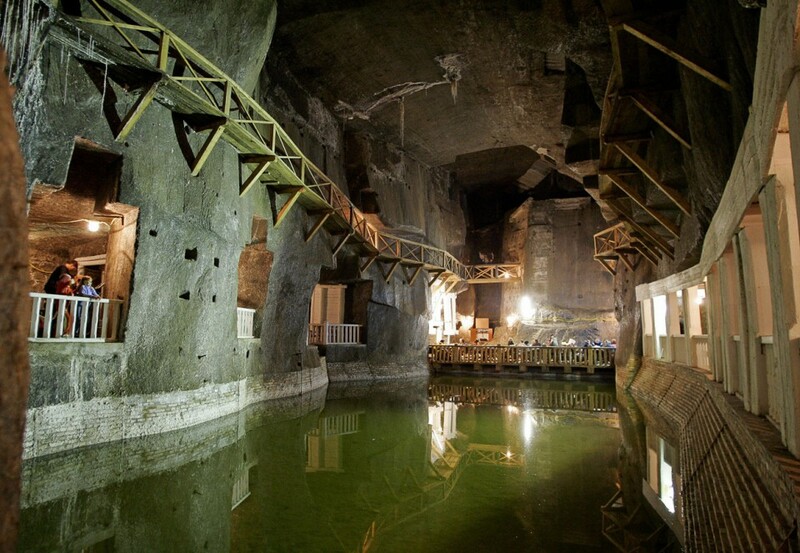 After viewing the 50 meter high Wawel Castle on the edge of town, which is considered Poland’s version of Buckingham Palace, we plunged into the depths – 135 meters to be exact. To get there we had to squeeze into one of three multi platform gated elevator cars – not a favorite place to be for someone who is VERY claustrophobic, but I believe that one must push to get outside of one’s comfort zones to fully experience what life has to offer – another example of this to come later. After being literally squished into the elevator car- which is gated all around – but NO WALLS – we dropped so quickly (17 seconds) that I thought for a moment I was back on a Steeplechase ride. 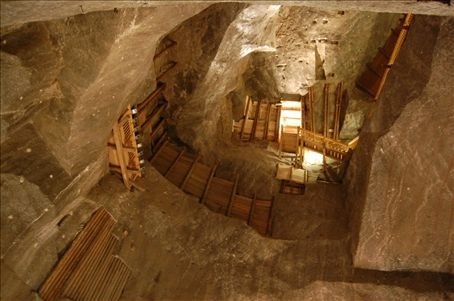 The mine has nine floors and shafts, some dating back to medieval times. 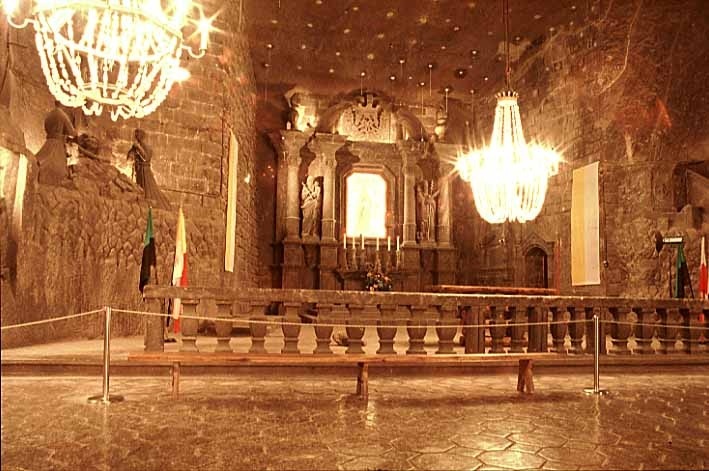 You must travel through the shafts with a guide as it is very easy to get lost in the dimly lit winding paths – and it is pretty chilly – 45 degrees F.
The sites beyond the mining area were truly spooky – carved statues, chandeliers made completely of crystalized salt- like something out of a horror movie – there is even a huge chapel and ballroom hewn and decorated with salt for weddings and concerts – there is a separate large elevator for catering these events. 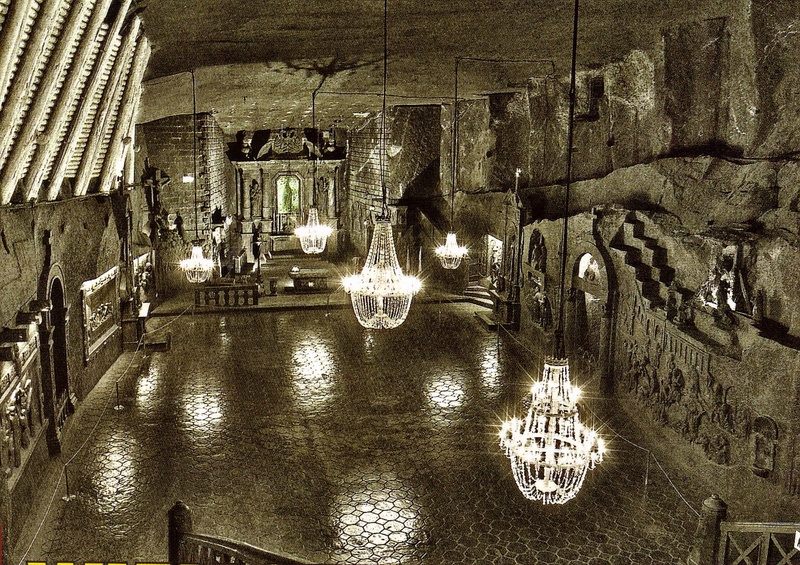 Speaking of breathtaking, the Wieliczka Salt Mine offers spa services in these underground mining chambers with the use of a unique micro-climate: an air free of pollution and allergens, rich in micronutrients, with a constant temperature, high humidity, and free from harmful radiation. It is called “subterranotherapy” and is supposed to be quite beneficial to patients suffering from asthma and allergies affecting the respiratory tract. 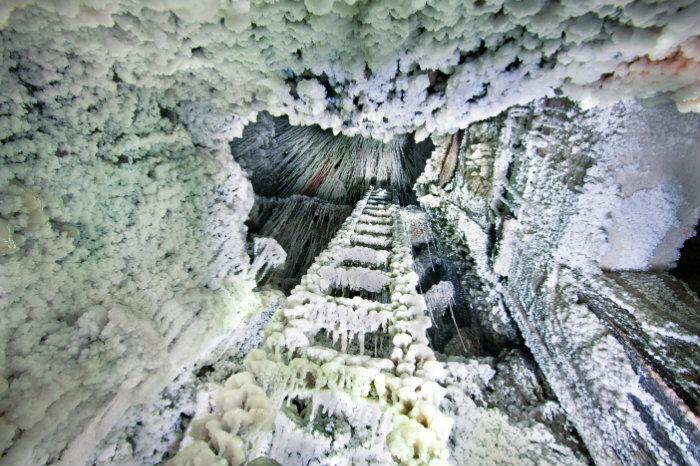 Seeing only a tiny portion of this mine – it goes down to 327 meters – took nearly three hours – fortunately all downhill . The trip back up on the lift took only 45 seconds- almost quick enough to get the bends. 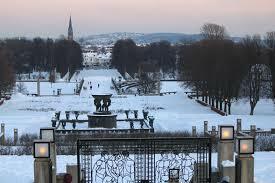 2) Vigeland Sculpture Park – Oslo, Norway – One of the most thrilling perks of my career in television advertising was the opportunity to attend the Olympic Games, as two of the clients my group negotiated media time for, Coca-Cola and McDonald’s were major sponsors. 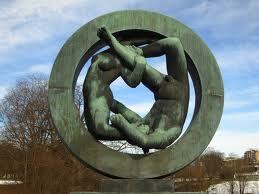 In 1994 the Winter Games were held in Lillehammer, Norway. For those who might not remember, these Games had unforgettable moments- most particularly the Tonya Harding/Nancy Kerrigan knee attack drama. I had fantastic seats for the free final skate – row two- and when Ms Harding tearfully stopped mid-performance to show the judges that her skate lace had ripped – her raised leg was placed right on the railing in front of my seat. 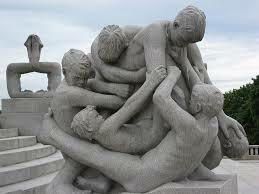 I was so mesmerized by this unprecedented maneuver that I forgot to take a picture – sigh. 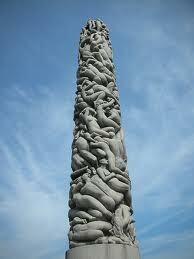 But I digress- a side trip on a Sunday before leaving Norway brought us to Vigeland Park in Oslo. To set the scene, I am with my 14-year-old daughter and my Coke client – who is also a good friend. 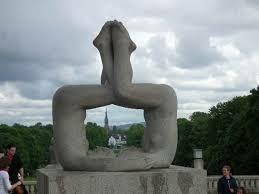 We had been told that this park contained “very interesting” statues. 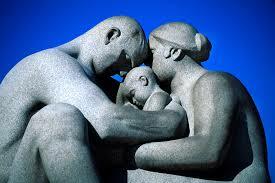 The artist, Norwegian sculptor Gustav Vigeland spent his lifetime on his artistic obsession and dedication to the human form. In theory, the sculptures range in topic from representation of humans in everyday situations, such as walking, sitting, holding hands, to highly abstract works. “The Monolith” is the focal point of the park. It is a 14.12-meter high, highly symbolic sculpture consisting of 121 intertwined human figures, meant to represent the human desire to reach out to the divine. The carving of this monolith took over 14 years and involved work by the artist himself as well as 3 other stone carvers. I said in theory, for when faced with so many larger than life but realistically intertwined human bodies we quickly began to feel that we were in the middle of a Kama Sutra challenge – remember I am with my teenage daughter. Add to that the fact that the wind-chill factor was 60 degrees below zero so attempts to take pictures had to be consummated quickly (sorry couldnt resist the double entendre). We quickly devolved into hysterical laughter- and my daughter and client amused themselves further by sliding down ice hills. We stopped laughing abrupty when we realized that on Sunday – there was little likliehood of finding a taxi to get us back to the hotel – gulp- but luckily another group of tourists came along and gave us a lift. This trip also had more than its fair share of misadventures – but that will be part of another post : “When Things Don’t Go as Planned.” Stay tuned. 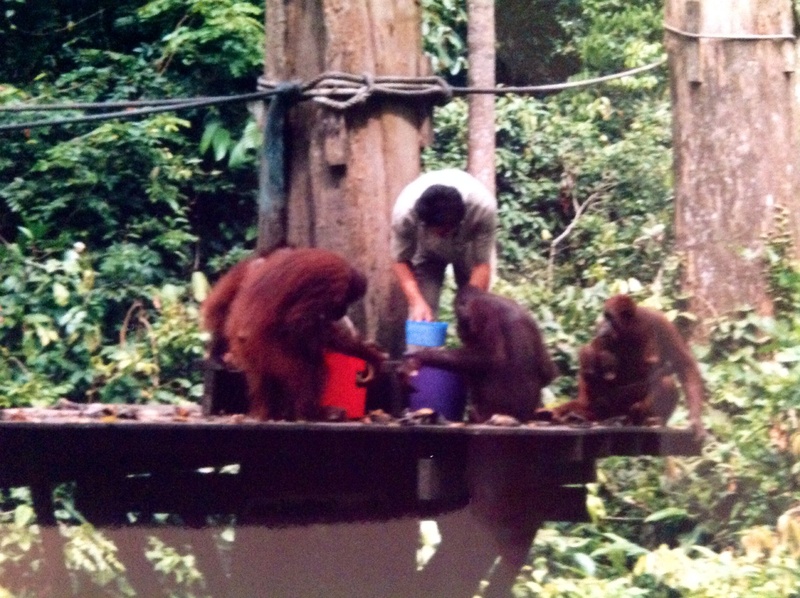 3) Sepilok Orangutan Sanctuary – Sabah, Borneo, Eastern Malaysia – My final presentation today was also part of an advertising trip – this one was to watch the premiere of a Pre-Survivor “Eco-Challenge” produced by Mark Burnett in August 2000. Teams from many countries participated in this mutli-sport race which included some very dangerous activities injuries were not uncommon – but mostly there were boat races, swimming, mountain biking, rappelling waterfalls and the like. In order to travel safely, I had to receive a dose of Larium, which is an anti-malarial medicine that can cause delirium and hallucinations – but I am pretty sure what I am about to write about actually happened. Some trivia: The town of Sandakan once claimed to have the greatest concentration of millionaires anywhere in the world during its heyday as a timber center. The region had been known for centuries for its pearls, camphor, sea cucumbers and edible bird’s nests. A group of English businessmen bought the rights to the northern tip of Borneo from the Sultans of Brunei and Sulu, and Sandakan was made its capital in 1884 and remained so until devastated by WWII bombings. 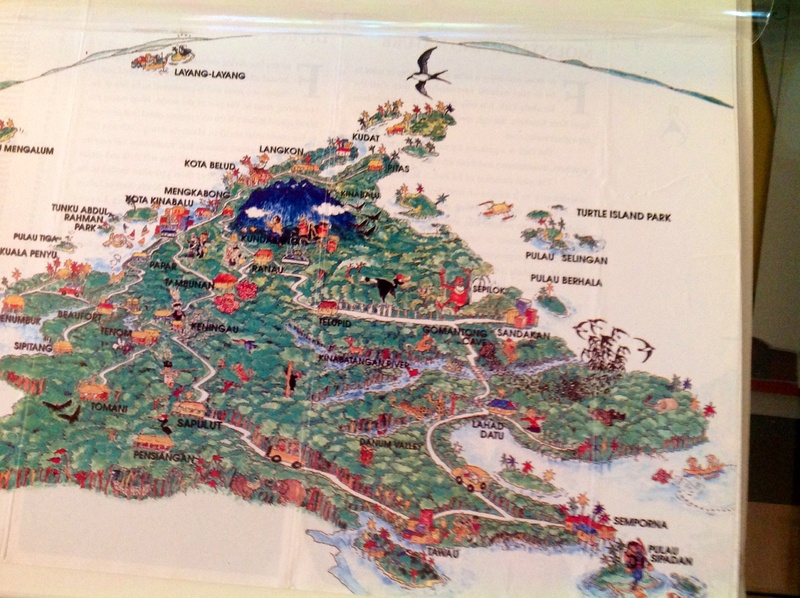 The capital was then transferred to Kota Kinabalu. 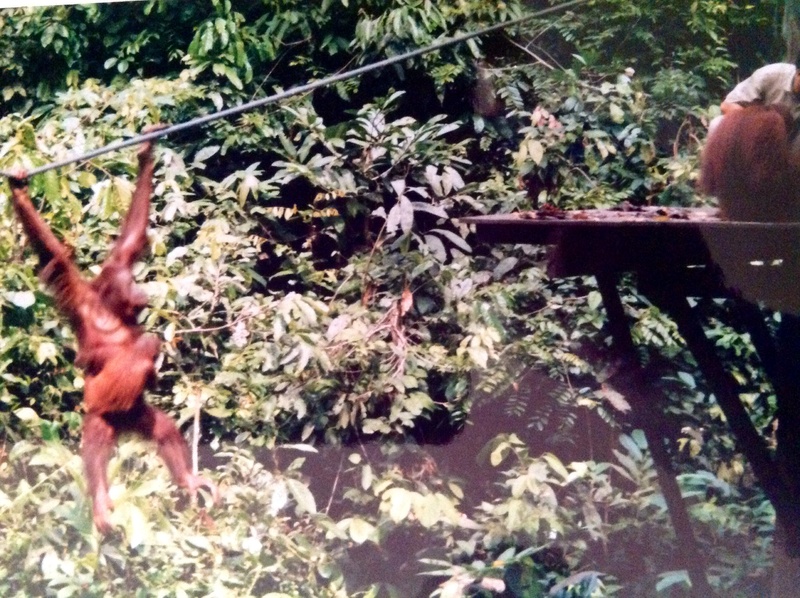 Confession: I am terrified of monkeys, orangutans, chimpanzees, gorillas – you name it. I don’t know why but I find them skeevy. When Jack Hanna had visited our agency to talk about sponsoring his “Animal Adventures” show- I had locked the door to my office once I knew he was traveling with a chimpanzee. Realizing that in this sanctuary I might come face to face with an orangutan and that one might touch me – I had prepared to protect myself by wearing long pants, long-sleeved shirt and sweatshirt and hat. Cue previous paragraph – this is the RAINFOREST and it is beyond hot and humid. Within seconds I had to undress down to a tee-shirt and roll up my pants or I would have fainted on the spot. 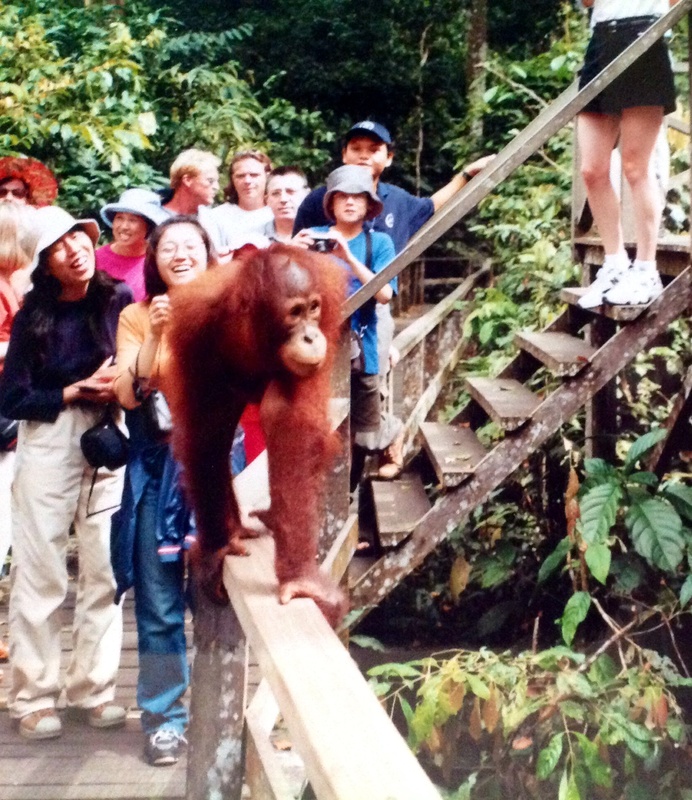 And then this Orangutan walking on the railing wends his way toward me as you see in the picture- it was a major victory in that I didn’t run away screaming. I’ve had various levels of success at other times facing personal fears – another post will tell those stories! For now we leave the jungle and head back to the great old US of A. This entry was tagged borneo, eco challenge, lillehammer, mark burnett, norway, OLYMPICS, ORANGUTAN, oslo, poland, rainforst, sabah, salt mines, sculpture, Sepilok Orangutan Sanctuary, statues, TRAVEL, vigeland, warsaw. Bookmark the permalink.